Taxi operators today equip their drivers with the latest smartphones and tablets which have made them more efficient in terms of picking up customers and dropping them off at their destination. Through their app, drivers directly get in touch with passengers exchanging their location details and getting them to their end point. On the customer side, the app informs passengers about the taxi number, exact location and the time for taxi to reach them. While equipping their drivers with mobile devices, taxi operators face the challenges of device settings tampering, excessive data usage, driver distraction and use of devices for personal work. Tablets in the taxi fleet displays a real-time GPS-driven map that allow drivers to plan their route. However, taxi operators realized that this would pose a challenge as most of their drivers were not well acquainted with use of smartphones and tablets and even if trained, the learning curve would be steep. 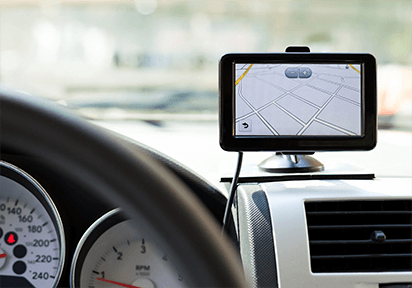 On the other hand, the drivers who were familiar with operating the devices could potentially misuse the GPS enabled devices for their personal use causing huge data usage costs. With the help of our product SureLock, tablets can be locked down with access to only allowed applications. With Surelock, Taxi operators can setup kiosk mode and avoid device misuse, driver distraction and inflated mobile bills. 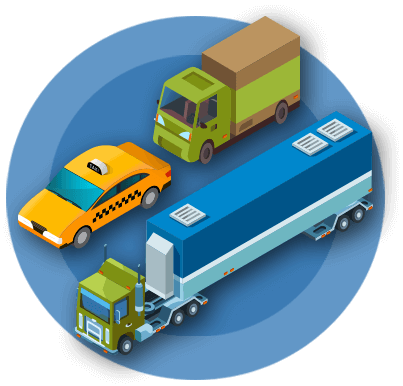 42Gears provides reliable solutions for security and management of devices deployed in Transportation Industry. Use our products to prevent misuse of mobile devices by taxi drivers by locking it down to only the allowed applications (called Kiosk Mode or Lockdown). We allow you to password protect device settings so that it cannot be tampered or even unintentionally modified by drivers. The device can be set to be used exactly the way you want for applications and content. This will help you protect your devices from malware, giving them longer life and better performance. We help you ensure that your devices are always fit for use by regularly monitoring the health of devices. You will also get alerts and notifications when thresholds get crossed without drivers having to keep track of it. Improve process efficiency by collecting data and performing diagnostics. Generate reports for usage patterns including data and keep your expenses in check. 42Gears provides easy mass configuration options so that your devices can be set up in no time and is ready to be used by the drivers. After deployment, managing these devices is simple and easy with a centralized web console. All devices can be tracked and monitored in real time for their movement and use. Wiping data, pushing software and taking control of device can all be done remotely without attending to each device remotely, saving your precious time. We help you maintain and support large number of devices spread across different cities with ease. With our product you can remotely take control of a device on the field for providing real time technical support in case drivers find any difficulty operating it. We let you group your devices and schedule maintenance activities like scans and software upgrades.